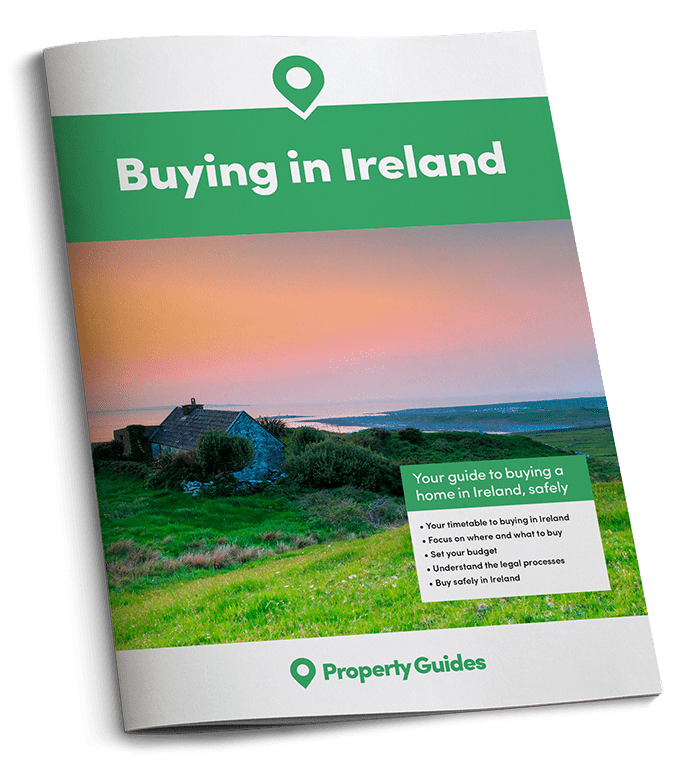 Dreaming of living on one of Ireland’s beautiful coastlines? Here’s where to look and what you can get for your money. Ireland has no shortage of charming coastal towns with dramatic sea views on one side and countryside on the other. What will it be today, out in the sea kayak or a long country walk then a pub lunch? Today we’re taking a look at some of Ireland’s loveliest coastal towns. What can we find that offers sea views from the warmth of your kitchen? 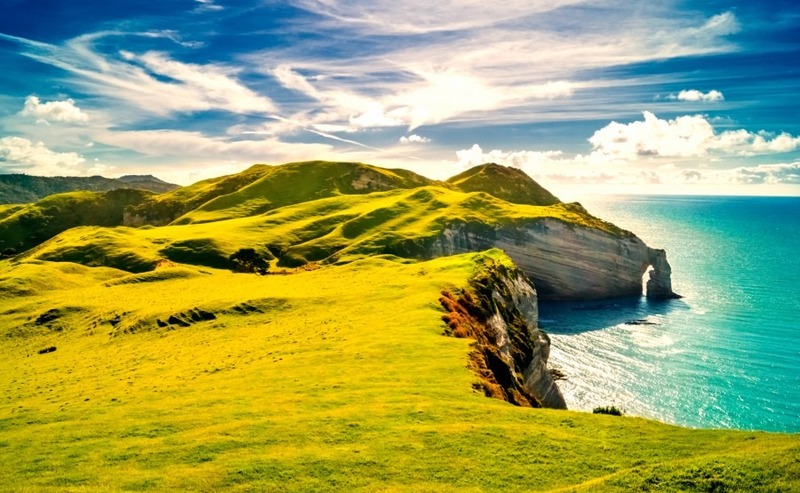 Ireland’s coastline – swim or country walk? If you’ve delved into the works of Irish author, William Butler Yeats, you may well have heard of this charming village, sitting on a peninsula close to Sligo. The beaches around the peninsula are lovely and quiet. If you’re moving to Ireland to enjoy walks in the great outdoors, the cliffs along Rosses Point are flat, making them perfect for novice hikers and experts. County Sligo Golf Course is nearby, and affords players spectacular coastal views as you play. Prepare to lose a few balls though, especially if it’s windy! Sligo Yacht Club is another sociable spot. Strandhill is another popular coastal village in County Sligo, especially with surfers, golfers and lovers of a good pub. 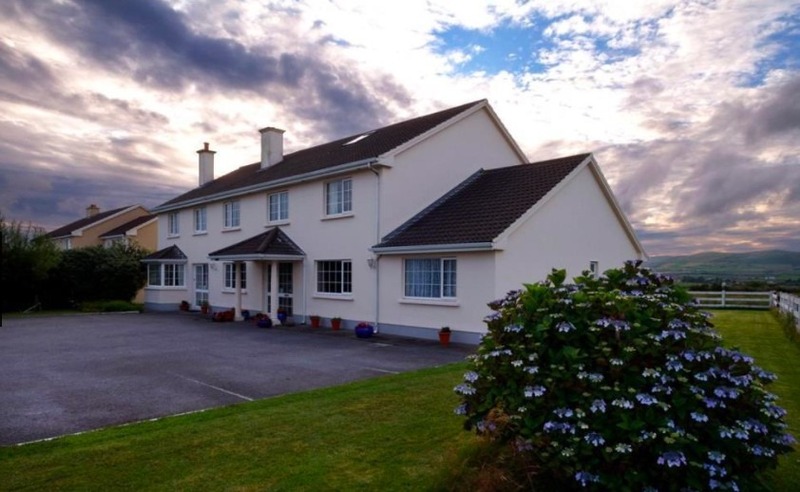 This five-bedroom, three-bathroom home is on the market for just €320,000 (£285,000). 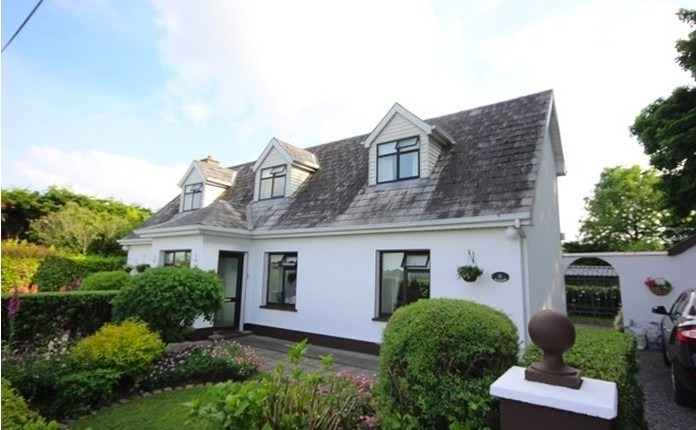 Enjoy views of Drumcliff Bay and Benbulben Mountain. It’s an ideal vantage point, close to all of the village’s amenities. If you picture yourself in that quintessential Irish seaside town, you should consider buying in Dingle. This County Kerry charmer is a tiny port town on the Dingle Peninsula in the south-west corner of the country. The area is characterised by rugged scenery, the hiking trails of the Wild Atlantic Way and sandy, sweeping beaches. This busy B&B business, located on the Wild Atlantic Way, attracts custom all year round. On the market for $675,000 (£600,000) the hotel enjoys views of Dingle Bay, eight guest bedrooms, and separate private living quarters with three bedrooms for the owners. Glengarriff town is located on County Cork’s beautiful Beara Peninsula. Residents can enjoy ocean views in one direction and mountain views in the other. The town is a popular spot throughout the year so there’s plenty to keep you occupied. Excellent shops and galleries, enough restaurants and pubs to ensure a little choice for your evenings out, and lots of gorgeous countryside to explore when you’re feeling active. The values in pounds we show here are at the interbank rate, which isn’t available to the general public. Contact Smart Currency Exchange for a free, no-obligation quote and a friendly chat about exchange rates in general. 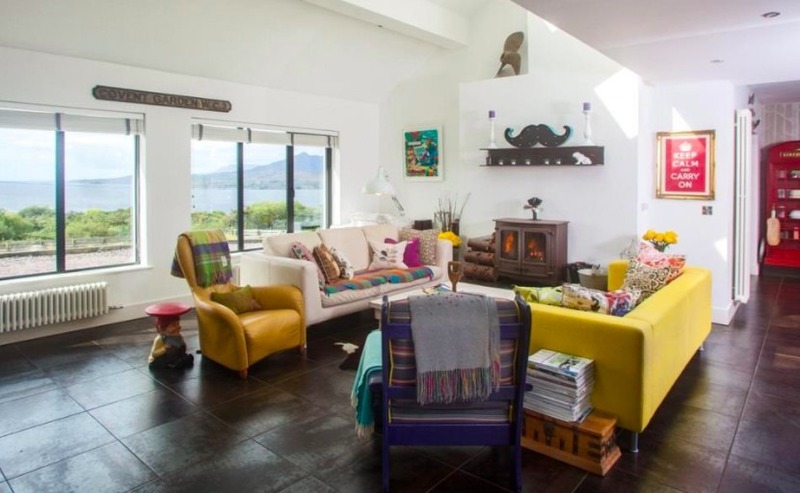 This attractive coastal property is located in an area of outstanding natural beauty in West Cork overlooking Bantry Bay, the Sugarloaf Mountains and Hungry Hill. The property has been painstakingly designed to make it an oasis of luxury – it even featured on RTE TV series ‘Home of the Year”. The three-bedroom property is on the market for $565,000 (£503,000). If you need to be within commuting distance of Dublin or its airport but are dreaming of life by the seaside, look to the popular town of Bray in the north of County Wicklow. This buzzy beachfront town offers wonderful ocean views, great restaurants serving the catch-of-the-day every day of the week, bohemian cafés and blustery beaches perfect for walking the dog. Try the cliff walk leading to Bray Head for particularly spectacular views. Being on the DART commuter train route means you can be in Dublin’s business district within 40 minutes. 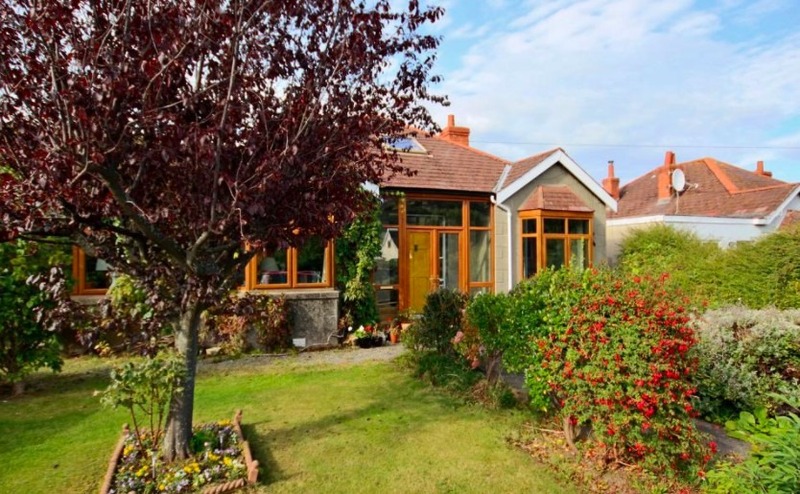 This gorgeous detached 3-bed bungalow may look relatively unassuming from the outside, but the interior is just wonderful (). The property, which is on the market for $595,000 (£529,000) is located close to the town centre, seafront and DART station and is set in lovely, sunny private gardens.